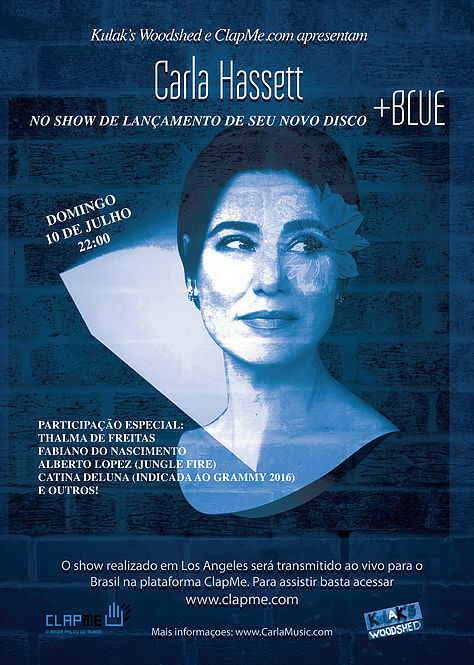 Depois de uma temporada de sucesso em Los Angeles, a cantora e compositora Carla Hassett finalizou seu mais novo disco, +Blue (Mais Blue). Radicada nos Estados Unidos, desde os 03 anos de idade, o trabalho une as influências norte-americanas e brasileiras da artista. A linha musical do disco reflete a influência da Tropicália e do Jazz no atual trabalho da cantora. Assim, fusões rítmicas e misturas linguísticas tem forte presença, ao lado de elementos eletrônicos, que dão uma suave dramaticidade sonora. Tendo como norte criativo aspectos sentimentais, como o saudosismo, que reflete a realidade de um artista que vive em uma terra estrangeira, as músicas autorais foram compostas em aproximadamente 12 meses de muito trabalho e pesquisa. O lançamento será realizado de forma independente nos Estados Unidos e Brasil e foi finalizado com uma campanha de sucesso de crowdfunding que ultrapassou a meta de captação de recursos. +Blue conta com a participação especial da cantora Thalma de Freitas na canção samba-funk Pois É e Tal, em que divide os vocais com Carla. O produtor ganhador do Grammy e Emmy, Joel Soyffer, coordenou a mixagem do disco, realizada por Carla Hassett e Andre de Santanna e prensou a máster em seu estúdio, o Coney Island Studios. +Blue foi gravado em Los Angeles no Sunset Sound, que já recebeu Prince, The Rolling Stones e The Beach Boys. No EMP Studios, de Lynne Earls, foram gravados os sopros, as cordas, e os vocais de Thalma de Freitas e Carla. Com vocais refinados, o talento poético e a musicalidade de Carla podem ser conferidos em 07 faixas autorais e inéditas das 10 canções de +Blue. 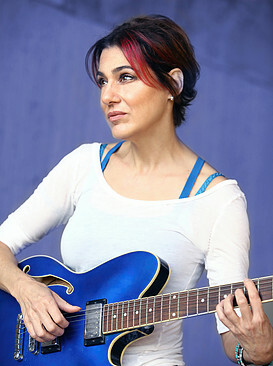 Carla ainda toca violão e guitarra em parte do álbum. O disco apresenta três regravações surpreendentes, A Little More Blue, do disco Caetano Veloso, de 1971, primeiro álbum feito por Caetano no exílio em Londres, e que influenciou a escolha do título do disco, a lado B Ladeira da Praça, do quarto disco dos Novos Baianos, Linguagem do Alunte, de 1974, que aqui ganhou roupagem arrojada com guitarras e instrumentos eletrônicos mais próxima a estética tropicalista e uma versão de South American Way, conhecida pela interpretação de Carmem Miranda. Os músicos de +Blue incluem: o baixista de Sergio Mendes, Andre de Santanna, que participa de 9 faixas, o baterista Leonardo Costa, que toca com Sergio Mendes e Bebel Gilberto, o guitarrista João Pedro Mourão, da banda Keiko Matsui, que gravou com Selena Gomez a faixa "The World is Ours”, e os talentosos percussionistas Alberto Lopez, Felipe Fraga e Gibí, que também toca com o Sergio Mendes. Um dos pontos altos do disco é a fusão do forró com funk, refletida na autoral Guerreira Vai. A energia do samba-rock de Jorge Ben e o vintage de Sergio Mendes são influências também presentes no disco. Reminiscente dos afro sambas de Baden Powell e Vinicius de Moraes, Sangue da Terra respira o atual problema dos imigrantes na Europa, canção composta por Carla e que exprime o sofrimento daqueles que não tem terra, mas lutam por ela. +Blue soa contemporâneo e ao mesmo tempo não datado por suas músicas e harmonias bem construídas. Born in Sao Paolo and now living in Los Angeles, singer Carla Hassett finds musical inspiration in each place she's called home. Hassett, who toured with Sergio Mendes and Billy Idol and lent her voice to the soundtracks of the Rio movies, has a new solo album called +Blue (pronounced "more blue"). It's American and Brazilian with a modern twist, Hassett says: For instance, she sets Carmen Miranda's "South American Way" in a minor key and swaps the original's pep for a sultry summer swing. The album takes its name from Brazilian singer Caetano Veloso's "A Little More Blue." Hassett, who worked with Veloso in 2012, considers him the "catalyst" for her project. In 1971, Veloso recorded his third self-titled album in London while living in exile, far from his family. "I began to identify with it — not that I've ever been a political exile, but I understand that longing," says Hassett, who grew up traveling back and forth between Brazil. "Being away from them was hard as it was joyful when I was reunited with them. "It's strange way to grow up, but at the end of the day it's also really enriching." Hear her full interview with NPR's Linda Wertheimer at this audio link. Santiago de Compostela, Spain, is famous for the religious pilgrimage, but in the jazz world it is gaining a reputation as a breeding ground for premier musicians. A host of piano players make the area home, so guitarist Marcos Pin easily stands out in the crowd. 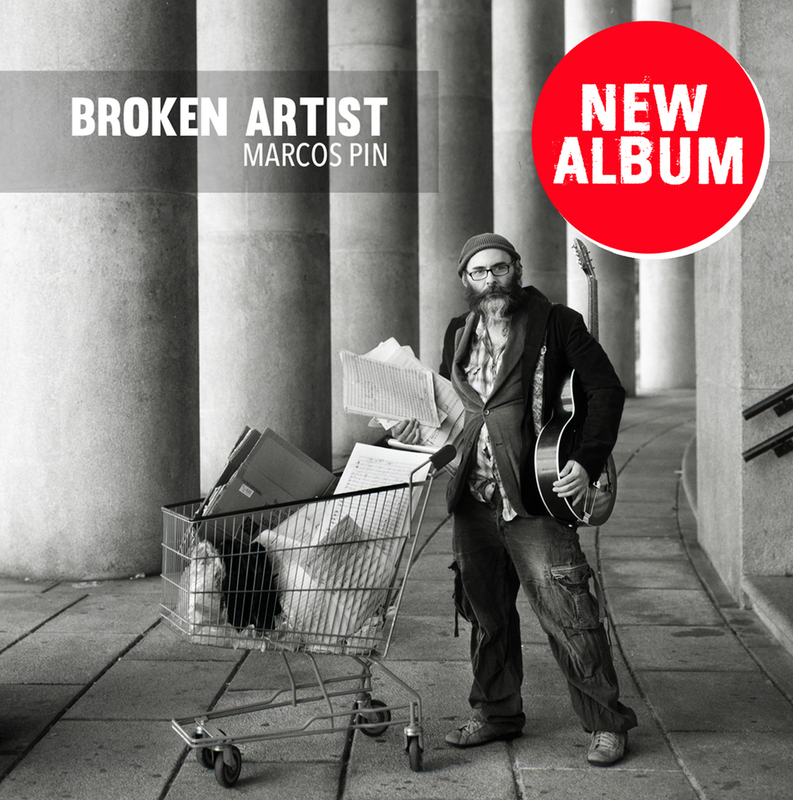 The hard bop influenced Broken Artist is his tenth release as leader, representing a focused trajectory and commitment to craft. This project is based around six compositions which depict a day in the life of a musician as he carves out an existence. The enthralling liner notes, actually a short story by Félix Amador, serve as a guide, and lay out the scenario of an anxious performer in Santiago, a city with hard edges, no longer so blessed. 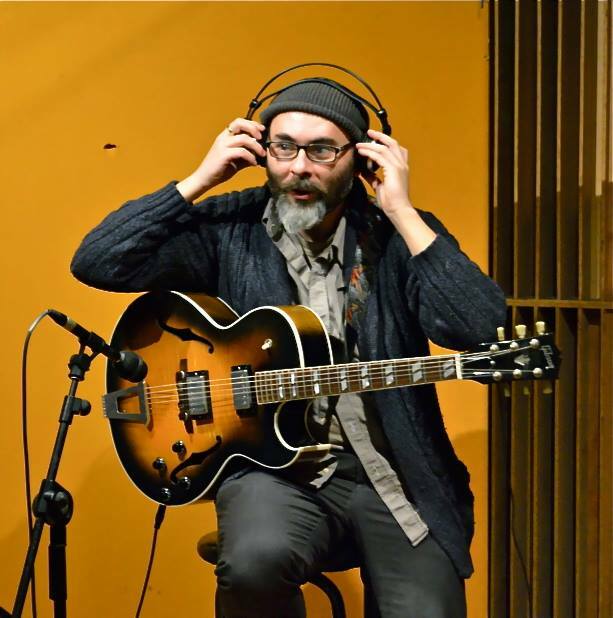 Running on "Blind Hope," offers plenty of room for saxophonist Pablo Castanho, who appears to challenge the premise that all is lost, as he lunges straight ahead into the smoke and flames. Melancholia wraps around the ballad "Lullaby For My Two Boys," as our hero experiences the bittersweet emotions that take over when the applause is gone, the money's short, as he slips into his children's room, wondering about the future. "I Love You Too," is a line used to often to cover the tracks of unfulfilled promises, in light of unremitting love. This song is an ensemble workout, Pin displaying clever arranging, as they kick it into the fast lane. There is a blue shade to "Castanho's Reed," specifically written for the sax man who spends more on his horn than he ever hope to make. Pin has an affinity for complex pieces, and "Carmen's Call," by Malcolm Stilton, is a study in tempo accents and chord crescendos. The distant constellation "Vulpecula," is the inspiration for this song, a tranquil observation taken from a lonely bridge on a dark night. In a world full of obstacles and challenges, sometimes the simplest acts of awareness can bring inner peace. The concept Pin adhered to is the struggling artist, which may sound mundane, but is still relevant today, as people continue to follow their bliss. 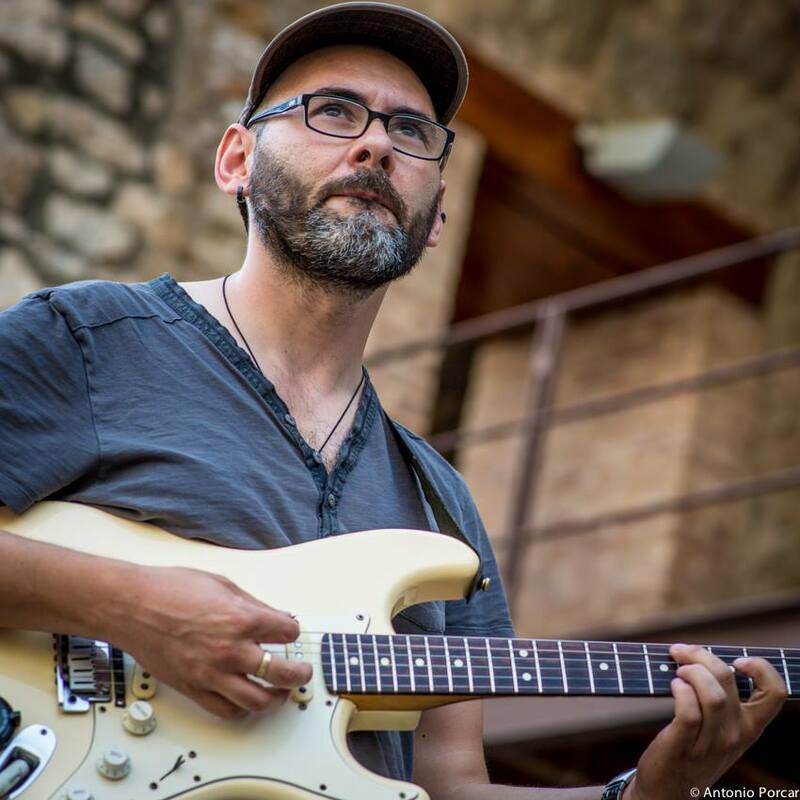 From his point of view, as a jazz guitarist at the end of the Iberian Peninsula, it might seem like a long arduous endeavor, but that is why he does it. If it was easy, anyone could do it. Jazz was born out of necessity of expression, and continues to be a source of encouragement around the world. The road to Santiago de Compostela is paved with hope, and the journey is for the faithful. 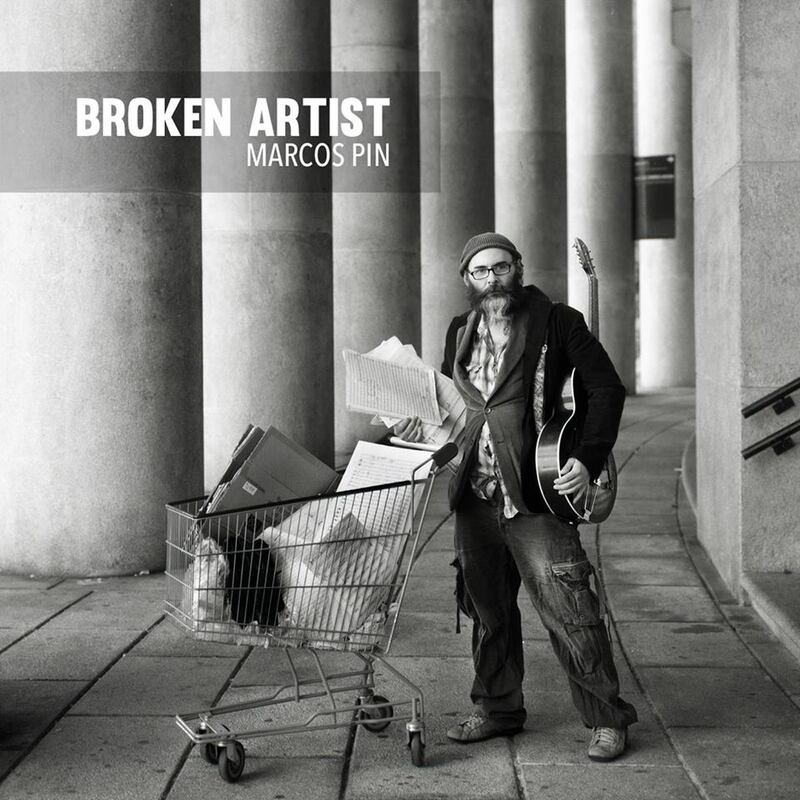 Marcos Pin is on his own path, far from defeated, he is just getting started. In the warm midsummer of 2015, a tour around Denmark brought Signe Juhl and the Nikolaj Bentzon Trio to Jazzhus Montmartre in the heart of Copenhagen. 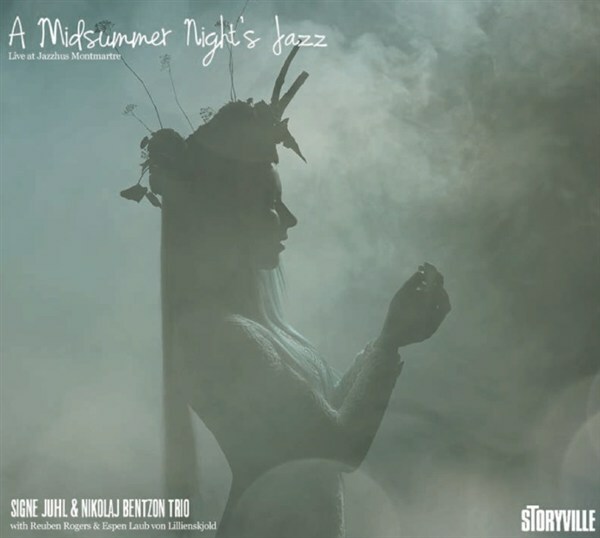 The music and the atmosphere from the two nights they played has now been made to last forever with the record, A Midsummer Night’s Jazz, which is released in April 2016 on Denmark’s great jazz label, Storyville Records. There’s something unique about listening to live music: And jazz – that living, playful and impulsive music – should be experienced at close range. A Midsummer Night’s Jazz captures this special and intense live feel. With the Nikolaj Bentzon Trio the energy is guaranteed to reach new heights. Espen Laub von Lillienskjold (Drums) delivers both nerve and elegance to the quick swing classics and soulful ballads. Nikolaj Bentzon (Piano) has a unique ability to bring new life to well-known standards with groovy and swinging riffs among other creative impulses. The interplay between him and his musical partner Signe Juhl (Vocals) is unrivalled. In the last few years, their close companionship has resulted in several releases – for example Juhl’s debut Silver Tongued and the large-scale symphony Bluray-release Luxury Jazz. 31-year old Signe Juhl is an extraordinarily noteworthy contributor to the Danish musical stage. She is a full-grown vocalist with an extraordinary depth and vocal span for our Northern latitudes. Her excess in melodic skill often brings her to new and interesting places in songs, you used to think you already knew. She possesses, in other words, a true jazz instinct. It’s swinging!